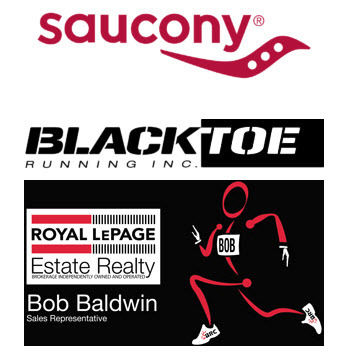 The Beaches Jazz Run is a BRC Running Series Event, brought to you by The Toronto Beaches Runners Club. Come and enjoy all the Beach has to offer with a beautiful run on the Martin Goodman Trail & Leslie Spit. Again we will offer, A BRC Running Series Feature – Dual Race Kit Pick up spots! ALWAYS – Free downloadable digital photos! We will have many photographers on site and we offer high res race photos at no charge! All races start and end at the foot of Lee Avenue in beautiful Kew gardens. GREAT START LOCATION & ROUTES – all path, no Boardwalk! Thank you to Tommy Thompson Park & the Toronto Region Conservation Authority for letting us use the park for the day! *Walkers are welcome but please note the cutoff time for the half marathon is 3.5 hrs. You’ll be able to complete the route but the start line must be dismantled by 10:30. Walkers may however be permitted to start at 6:30 am if they wish – stay tuned for details. check our confirmation page to be sure! Parking is available on local side streets and a couple of Green P lots around that are anywhere from 5-15 minutes walking distance to the start. Queen Street also has Free Parking until 1:00 pm which would also be anywhere from 5 – 30 minutes away depending on how close to Lee avenue you can get. Of course, parking is limited so we suggest you carpool if you can. TTC – https://www.ttc.ca/Routes/index.jsp – our races start early so please check your individual TTC routes beforehand. Of course, with a Summer run, the warm weather comes with it. The forecast is looking like it will warm up, so make sure you hydrate well on Saturday! We will have water and Nuun Hydration on course for you but as always is the case with a hot Summer day, we recommend you carry your own water as well. If any further information needs to be relayed to you, we will contact you closer to Race Day. Until then, keep your eye on our website for updated Race Day Info. Best regards and happy running! Something for everyone at great prices! Finishers Medals for all races | All Registered runners will get a commemorative Beaches Jazz Festival Run SWAG Item (Hats and Buffs! )| Post Race refreshments | All events are Chip Timed! | All events are run along a Flat &amp; Fast Route!